Simple Step-by-Step Guides That Show You What You Can Do Help Your Body Recover, FASTER! If you are interested in eliminating your own aches and pains in a fast, simple, safe and effective program that most health & fitness professionals don’t know about or are doing wrong, then read this important letter. My name is Rick Kaselj. I am an exercise and injuries expert and international presenter for effective exercises for injuries. I have written numerous articles that have appeared in newspapers, fitness magazine, written leading exercise injury manuals in the fitness industry and taught over 315 presentations to 6065 fitness professionals across Canada and the USA. I’ve developed the Recovery Workouts to help yourself and your clients recover between workouts and fend off injuyry. 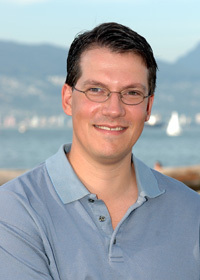 Recovery Workouts is the result of 6 years of University study (including a Master’s Degree in Exercise Science), 18 years of hands-on experience, constant searching for the best recovery techniques, and teaching these recovery techniques to thousands of other fitness and health professionals who have used these techniques to help their clients. Plus thousands of personal training sessions with clients suffering from injury and pain, plus the careful scrutiny of 141 medical research papers. Injuries kept slowing me down. 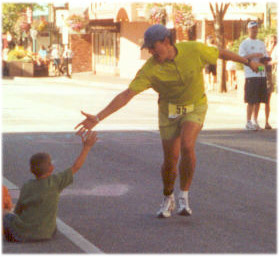 I had moved up to Penticton, BC, Canada to train for the Ironman Triathlon. This was a life long dream. As I was increasing my mileage, I kept getting aches, pains and minor injuries that slowed me down. It was getting very frustrating. As I ramped up my training, some kind of injury would knock me back. I looked at what I was missing in my training program. The structure of my training program was solid. I had good balance when it came to training for the three events and a good amount of rest, plus my nutrition/hydration was good. But still the aches, pains and minor injuries forced me to decrease my training or take days off. I started looking at what I was missing in my program. In order to help myself with the recovery, I decided to go for massage therapy by a certified massage therapist. I went and saw the massage therapist. I was shocked at how many sore areas she had found on my body. As she worked on my body, the sore areas started to subside. It felt great after the massage and the next weeks worth of training was great. I started thinking of things that I could do that did not involve me always going to the massage therapist. It would be great to see the massage therapist every day or have one on staff but for a regular joe or jane, that is not realistic. I started looking at self massage in the library. I came across some great books and they gave me a number of ideas on what to do. I came up with a self massage routine that I could do after a training session or before bed. I started using different tools to give me different types of self massage techniques. Before I get to the details of the program, let me answer a few of your questions. You will be able to wake up and not feel those aches and pains from yesterdays workout. You will improve the tissue quality of your muscles which leads to happier muscles. Question: I have been told that I need to focus on strengthening when it comes to preventing aches and pains? Strengthening is important in order to help you prevent injuries and perform better but you need to do things to help the muscle recover from your workout and strength workout. Stretching is one thing you can do but I find the rolling, pain ball and self massage is a better way to help with decreasing the tension in the muscle, improving circulation and priming your muscles for the next workout. Question: Why does your program task so long to work? I recommend that you perform each of the recovery workouts daily or one of them three times a day for a few days so you can get on top of the tension in your muscles. 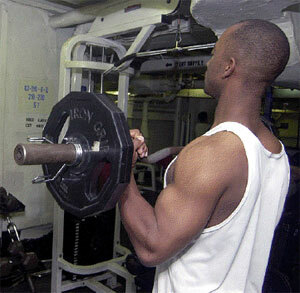 Then I recommend that you do one of the workouts daily or after exercise / activity or your workout / bootcamp. On day 1, you will wonder if this stuff works but you will have a decrease in muscle tension. On day 2, you will want to do more of the program and will feel your muscles are more relaxed and you are more energized. On day 3, the program will be incorporated into your life and it will only take a few minutes to continue decreasing your aches and pains, plus improve your recovery between workouts. On day 4, you will wonder why you did not get this program sooner. Question: I have a bunch of exercises that I have been given to me to help me with my aches and pains? Most times, the focus is on stretching when it comes to recovering from a workout. The thing is, I don’t find that to be as effective as rolling, pain ball or self massage. Ask yourself, how the exercises are for you? Do you feel an improvement or is it not helping you very much? If it is not helping you much, think about recovery workouts. Plus, the order of the exercises are done is very important. Question: Are these more exercises that I have to do? I learned a long time ago that the biggest thing missing from recovery is massage. Like I said above, getting a massage is expensive. In the recovery workouts I go through three different techniques that you can do to help your body recover from a workout without having to go to get a massage after every workout. What is a Video Guide? A video guide is a recorded video presentation that you can download to your computer, burn to a DVD or view right off the internet which takes you step-by-step through the program. You can download the video at work or at home and view it when it is convenient for you. Question: How Does a Video Guide Work? After getting the Recovery Workouts Program, you will be directed to details on how to access the video guide and the full program.You can then view and download the video guide.The instruction to view and download the video guide are easy and quick to do. If you have any problems, I can help you out. Question: Do I have to Watch the Video Presentation all at One Time? No, you can watch the video presentations at your own pace and re-visit any aspects of the video presentation when you like. Question: Can I Burn the Video Presentation onto a DVD? You can download the video presentations to your computer and then burn the video presentations to a blank DVD. This allows you to watch the video presentation on a DVD player at home, on your laptop or on a different computer. Question: Can watch it on my phone or tablet? It is in a format (M4V) that you can view on your phone or tablet. Question: Why do so many people prefer to learn through a Video Presentation? Question: I was surfing around the internet and found a bunch of exercises that help with recovery? There is a lot of stuff on the internet when it comes to recovery. This is what I have found about just surfing for recovery stuff. What you will find is information focusing on one components of a recovery program. It maybe stretching. I find stretching helps and I go through a routine in the Golf Recovery Workout that one can do after golf or even after a workout but the thing that I find most effective is the self massage. Question: How long does it take to get my DVDs? The cool thing is there is no wait. You get the Recovery Workouts Program right away. After your order, you will instantly get access to the video guide, exercise manual and videos. You can download everything to your computer and get started right away. No waiting for anything in the mail. What is in the Recovery Workouts Program? In this component I go through a variety of foam rolling exercises that you can do after a workout. They are in a specific order to help loosen up the muscle in the body, in layers. Do this Recovery Workout will help decrease tension in the muscle and remove metabolites from the muscles that you have worked so you are ready for your next workout. We all know the power of touch. That is no move evident than when we go to the massage therapist. After going to the massage therapist and doing my own research, I came up with Self Massage Recovery workout. This Recovery Workout uses the power of touch to target common areas in the body that hold tension, restrict movement and lead to injuries. You can do the exercises with your fingers, thumb, hands and fist. The cool thing, is you can do the exercises anywhere. Some times the rolling and self massage is not enough. The Pain Ball Recovery Workout goes deeper when it comes to the self massage. It allows you to use your body weight to dig deeper into the muscle in order to hit deep tension in the muscle. This workout will help you find tight muscles that you did not know you had. These tools and exercises are a little weird. These exercises came out of me playing around with different tools and stuff that I have come across around the house and a courses. I now travel with those tools and find they help me get rid of the stiffness from driving or a flight plus help release the tension in my muscles. 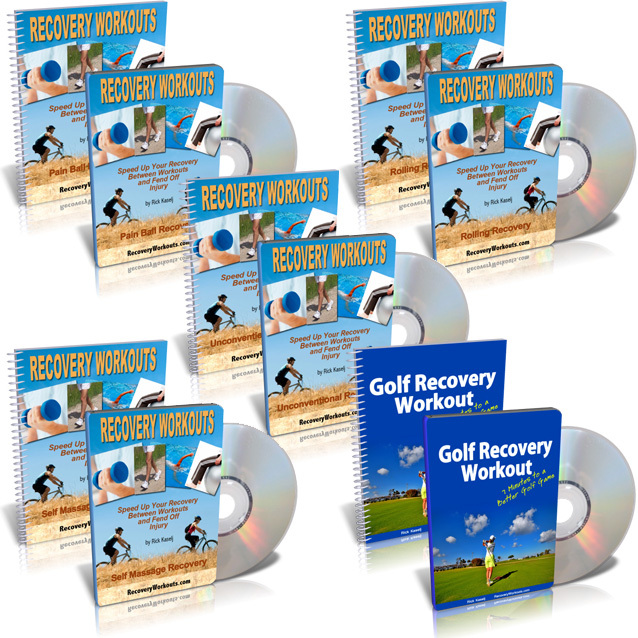 The Golf Recovery Workout is a stretch routine that I came across when looking at the research. 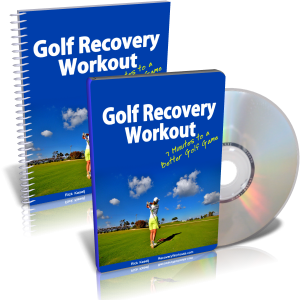 The routine has been shown to help when it comes to recovering from a round of golf. Looking at the exercise, they will help all, not just golfers. I included this recovery workout because it adds the stretching component that helps with recovery and they are stretches that anyone can do. Click here now to order The Recovery Workouts Program for $57 $37. In 7 days, if you don’t feel a decrease in your aches and pains You Get Your Money Back! If that is Not Good Enough, Try Recovery Workouts Program For The Next 60 Days With A No-Risk, 100% Money Back Guarantee! “Test drive” the Recovery Workouts Program for the next 60 days with absolutely no risk so you can fix your aches and pains and get your body ready for the next workout or activity. You can feel completely safe because you are protected by my iron clad 100% money back guarantee. You will not only be satisfied, I guarantee you will be thrilled and amazed with the Recovery Workouts, you can simply email me and ask for a prompt and courteous, no hassles, no questions asked, 100% refund. In fact, if you’re not completely happy for any reason at all, then I insist that you ask for a refund. However, after seeing so many men and women end their aches and pains in a quick and effective manner, I am confident that you will be thrilled as well. P.S. – There is NO RISK at all for you when you try the Recovery Workouts Program. If you are not thrilled how this program decreases your aches and pains, let me know and I will refund your order. Your satisfaction is 100% guaranteed. Rick Kaselj has been trusted by the largest fitness & rehabilitation associations in North America (NSCA, ACE, CanFitPro, BCRPA, BCAK, CKA, NHPC). P.P.P.S. – There’s only one catch to all this. You need to act now to get the complete package. I’ve been told this package is way too cheap now and the price will be going up very soon. So, if I decide to keep the price the same, a few of the components maybe removed at any time and put up for sale separately. 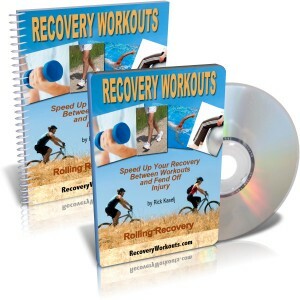 NOTE: The Recovery Workouts Program is a downloadable video and e-book. No physical products will be shipped. After you order, you will get INSTANT ACCESS to download the video and e-book. The e-book format is adobe acrobat PDF, which can be viewed on Mac or PC. The video format is M4V which can be viewed on Mac or PC. If you have any questions or need help, you can contact us at support (at) ExercisesForInjuries.com.